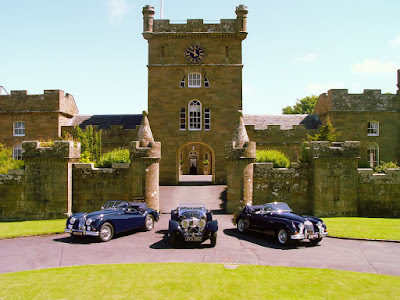 CLASSIC and prestigious vehicles from all corners of the UK will gather together at Culzean Castle in South Ayrshire for the first Culzean Autoclassica International Concours d’Elegance, which will be held during the 23rd – 24th August bank holiday weekend. “Octane”, the international publication for enthusiasts and owners of classic and supercars, has announced its sponsorship of the event, and competing for its prestigious trophy will be 25 of the country’s top show vehicles, with judging being held in a specially designated area on the lawns surrounding the castle. 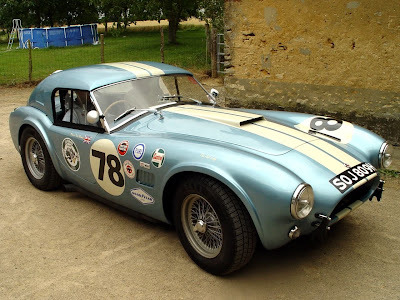 To open the concours to the many classic and prestigious vehicles that will be on show, a street concours will be held on the Saturday, with the top three vehicles going forward to join the international event on the Sunday. Destined to become a five-star event, the Culzean Autoclassica has been created by Autospirit Ltd in partnership with the National Trust for Scotland, and will feature displays from top and significant prestigious marques, single entrants and vehicle clubs. Veteran, vintage, historic, classic and today’s high performance modern exotic road and racing machines will be represented, and will be joined by product, service providing companies and associated lifestyle exhibitors, all reflecting the heritage of the motorised vehicle. To celebrate the association with the race days of the 50’s at the disused Turnberry airfield nearby, many of the single vehicle and club entrants will be dressed in the appropriate apparel to reflect the age of their vehicle. For entrants with post 1970s vehicles they will be asked to arrive in period dress of the 40s to 60s. 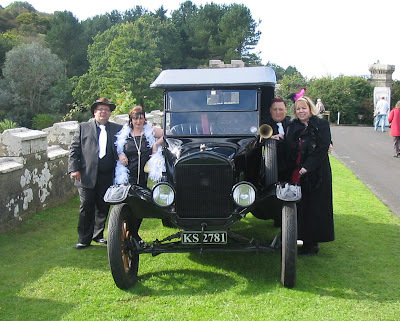 Visitors to the event are also being invited to join in with the theme and help create a surreal spectacle that will be unique to a classic vehicle gathering in Scotland, and spot prizes will be awarded over the weekend to the best “Retro” dressed entrants and visitors. Fashion shows, live Jazz and 50s-style bands accompanied by appropriately dressed dancers will also entertain visitors relaxing in the castle’s magnificent courtyard. With a Soap Box Grand Prix driving challenge, auto art display, vehicle sales enclosure, memorabilia and vehicle auction and auto jumble amongst the many other attractions over the weekend, the Autoclassica promises to be a great day out for all the family. Telephone: 01655 880045 or 01563 811151. There are currently 306 Ayrshire business stories permanently archived on this site. To locate those of most interest to you, please use the site search facility in the top left hand corner of this page. Type your search term in the white box, then click “SEARCH BLOG”.